This page was added to BtP on 30 September 1998, the day the Vicar retired from active duty. 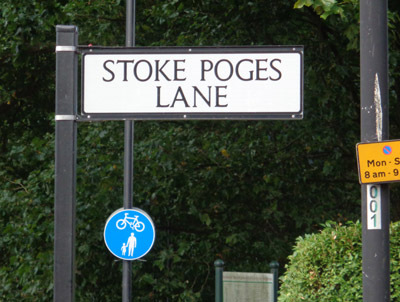 Stoke Poges is the name of an instrumental Procol Harum played on their first US tours in 1968. According to fans, this song was inspired by British poet Thomas Gray (1716 – 1771) who lived for a while at the village at Stoke Poges in Buckinghamshire. The churchyard at Stoke Poges was the scene of Gray's famous Elegy written In A Country Churchyard. Gray died at Cambridge and was buried at Stoke Poges churchyard. Although many fans regards this as a Matthew Fisher composition, Stoke Poges was in fact composed by Gary Brooker and Matthew Fisher. Gary wrote the 9/8 bit in the middle, and Matthew the rest.